The first thing you’ll notice about the Antic is its oversized ring. Use it to attach the Antic to a keychain or as a lanyard attachment. In addition, the ring also provides enhanced ergonomics. Slide your pinkie through the ring for a karambit-style grip. And while karambit knives are usually very aggressive self-defense tools, with the Antic, you can enjoy this knife style in a casual, pocket-friendly format. And unlike a strictly self-defense knife, the Antic offers other tools, too. The end of the ring is flat head screwdriver, which also doubles as a mini prybar. There’s even a cleverly-placed bottle opener at the end of the back handle. 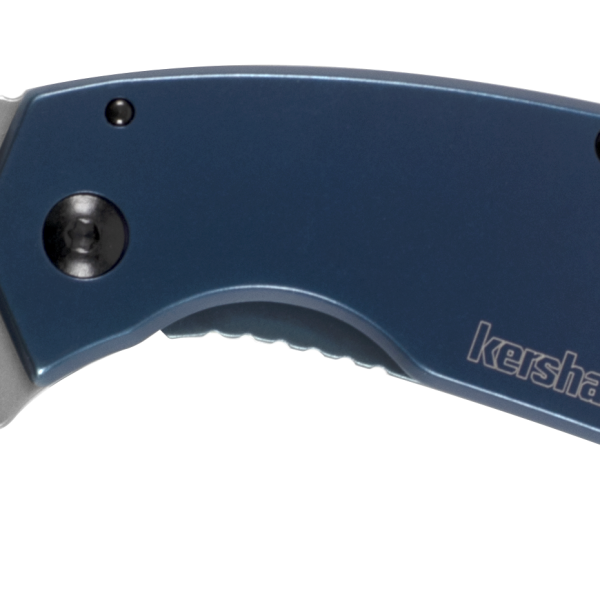 This unobtrusive opener won’t interrupt your grip or poke your leg while carrying. And of course, it does its job very well. The Antic’s under-2-inch blade offers plenty of belly for a wide range of cutting tasks. It locks into place for use with a sturdy frame lock. 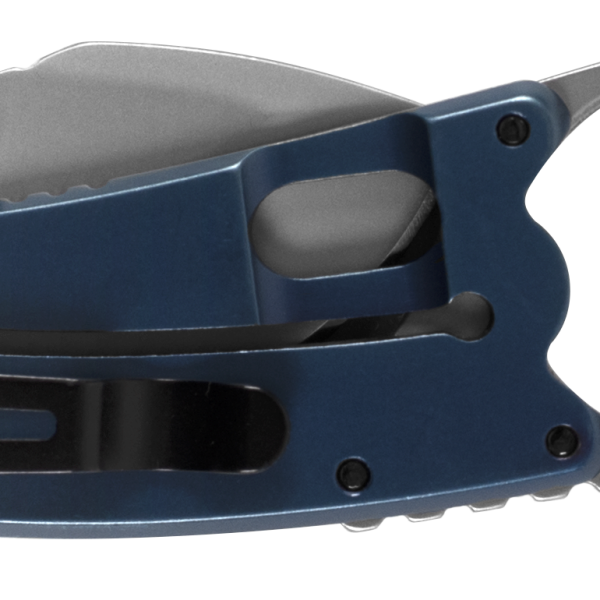 The stainless steel handle is finished with an attractive navy blue PVD coating. Jimping on both blade and handle provides for a secure grip and cutting control. And at just 3.1 ounces, The Antic is a lightweight, comfortable carry. Neither too bland nor too flashy, the Antic is versatile, value priced, and a great addition to your collection.